It sounded like a cool tool. 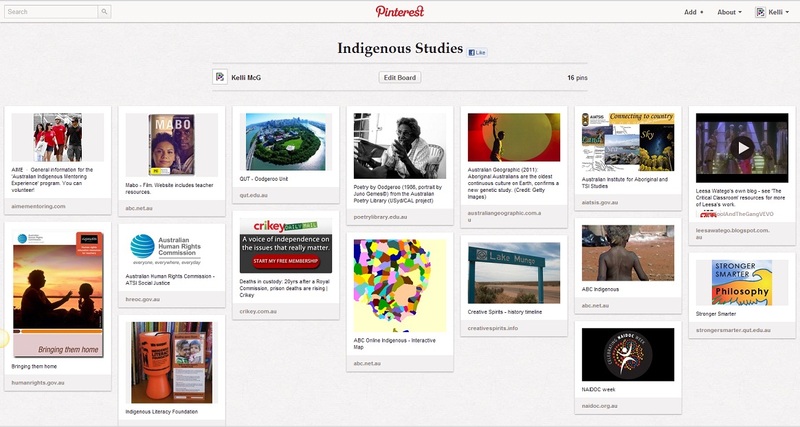 A virtual pinboard – just make a board on a topic or ‘interest’ (ahhhh… pin + interest = ‘pinterest’! ), then add images and videos to it. Always a fan of putting posters on my bedroom wall, covering my school folder with pictures under contact paper, and putting stickers on random bits of stuff, this highly visual curation tool has always sounded promising to me. I had made the decision in semester one, however, to steer clear of Pinterest. This choice was purely motivated by my fear of taking up another addictive web tool … the first semester of this year was just too busy already to attempt trying new things. Some questions have also flown around over time about the ethics and copyright implications of re-pinning images without permission, and I confess this made me wary. THIS SEMESTER, however, I am pinning! I hope to engage students in my two tutorials by sharing the board with them and inviting them to explore the links I’ve collected/curated. My hope is that the visual nature of Pinterest, and the ability to browse it socially and on mobile devices, will entice a few students to explore the links I’ve found. As far as the image copyright issue is concerned, I think I’ll just wait and see if any of these organisations complains, eh? I have done my best to attribute the images, that’s all I can say. In addition, points made in these slides about the potential of Pinterest to expand community engagement and open up services to diverse clients made me even more eager to try using this service as a teaching resource. Here’s hoping my bid to invoke some ‘cool’ in my classroom pays off! 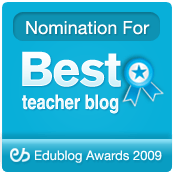 This entry was posted on July 16, 2012, 9:19 pm and is filed under education, learning community, online tools, social media, university. You can follow any responses to this entry through RSS 2.0. You can leave a response, or trackback from your own site.